Maurice Ravel composed Le Tombeau de Couperin between 1914 and 1917. He later arranged the solo piano suite for orchestra, omitting the fugue and the last movement. 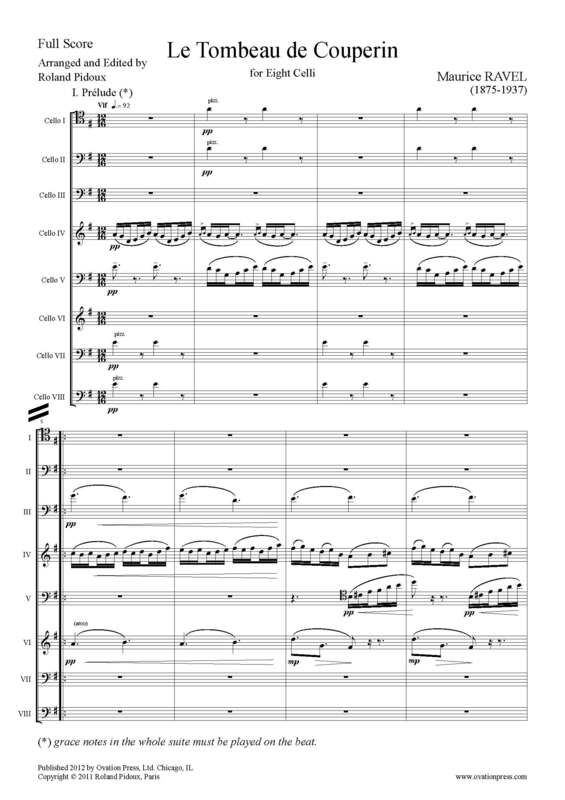 This arrangement for cello octet is based on Ravel's orchestral version.